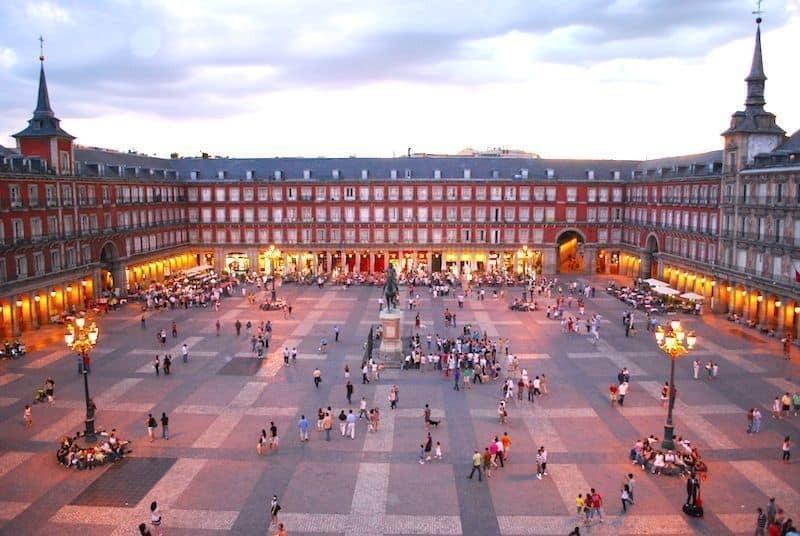 The Panoramic tour of Madrid covers the main areas during the reign of the Habsburgs and the Bourbons. Through funny anecdotes and stories we will review the History of Madrid which can still be reflected in many of its streets and spaces. The word boredom does not exist in our dictionary, so besides learning and visiting amazing neighborhoods, we can assure you a fun walk where we will tell you the history of Madrid and its secrets as no one has ever done. All our tours are carried out by licensed professional guides with a degree and passionate about Madrid. We may use individual Audio systems and the Ipad to enrich our routes in Madrid in larger groups. Tour description: Our route will start in Ramales Square or at the customer’s Hotel. We’ll walk from there to the Royal Monastery of the Incarnation, where we’ll talk to you about Saint Pantaleon’s blood. We’ll come back towards Oriente Square, with its so special equestrian statue, and the Royal Palace, where the Spanish Habsburg dynasty used to live since Philip II’s reign. Then we will go along Mayor Street, the most important street in Madrid of the Habsburgs but also witness of shocking events from later epochs. We will stop at the Square of the Villa in order to know its history and see some of the most emblematic buildings in the city, as the ancient City Hall. Proceeding by Saint Michael Market, we’ll go around Mayor Square towards the Square of Puerta Cerrada, where we’ll explain to you some anecdotes regarding the most ancient history of Madrid. In the Square of the Province we’ll see the ancient Court Jail and then we’ll walk towards Mayor Square. We will then continue by the Madrid of the Bourbons neighborhood, where you will enjoy places like the famous Puerta del Sol, the Cibeles fountain or the amazing Retiro Park close to the Alcalá gate.